Another great SeasonsBox this month! The theme for March was a combination of St. Patrick's Day and spring so we got a lovely set of curated products that were green and eco-friendly. The box shipped a little late this month but it was definitely worth the wait. We received a bigger box this month - rectangular instead of square. Very exciting! Look at all the products nestled inside! The SeasonsBox presentation is phenomenal. This is the best thing I've learned so far this year! I suspect the same method is used to decaffeinate tea commercially as decaf tea generally tastes a lot weaker to me. I'm happy to have read this because now I can buy whatever tea I want and just follow the above steps to reduce my caffeine intake. 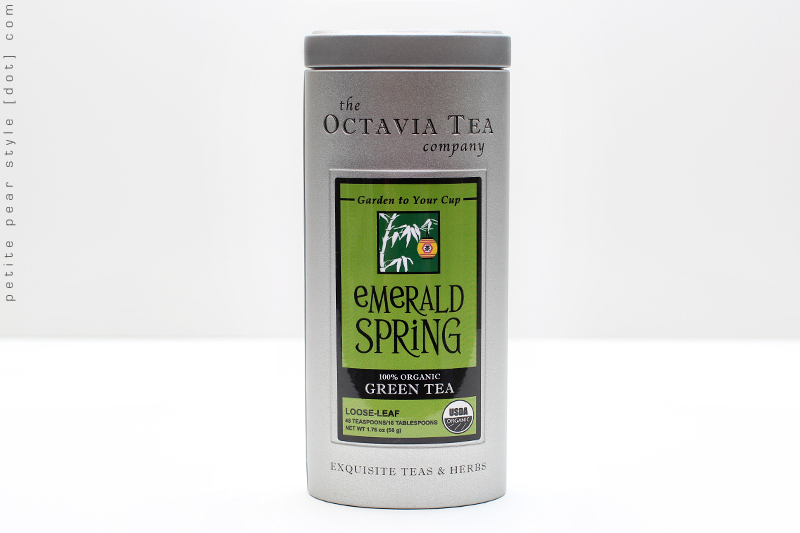 The green tea I received in my SeasonsBox is 100% organic and tastes great. It is very aromatic, slightly nutty, and not bitter. It also tastes amazing cold! This is a handcrafted natural soap company based in Minnesota. 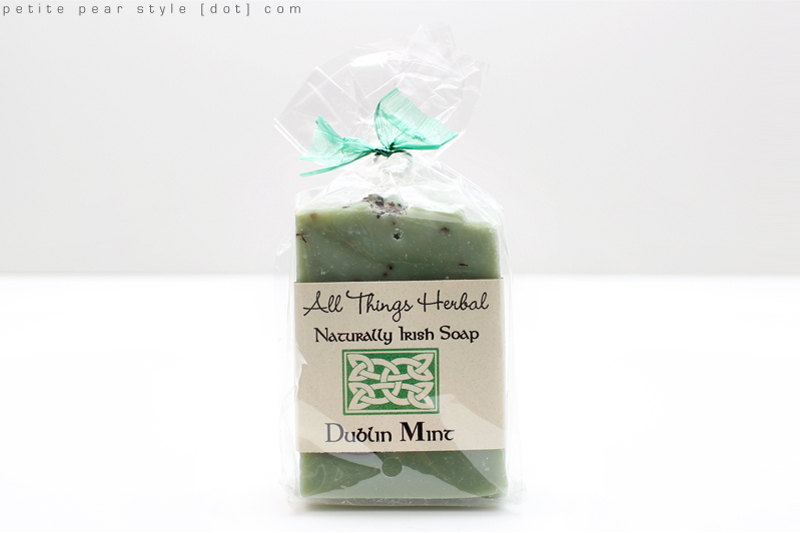 I received a soap in the Naturally Irish collection called Dublin Mint and it smells incredibly refreshing. It's a blend of spearmint, peppermint, and rosemary. It's the perfect fresh spring pick-me-up scent. As an aside, I took a look at the other products in this line and the beer soaps look really interesting! This was a total blast from my past! I used to burn incense all the time when I was in high school (am I dating myself?) - albeit in a different format. 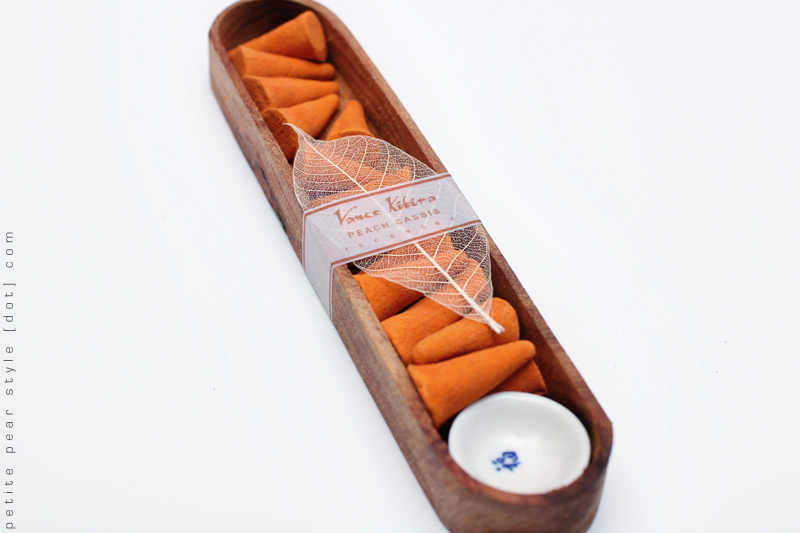 I am very familiar with stick incense but this product comes in cute little cones - they are smaller than I expected but absolutely adorable. The set comes with a miniature ceramic dish, which serves as the "incense holder" and everything is contained in a rosewood box, which also reminds me of the holder I used way back when. I received the scent peach cassis - it's a mix of a sweet fruity scent with an incense scent... if you burn incense, you will know what I mean. I do like the smell of incense so I was happy to receive this product. This product is made in Thailand. I was most excited about this item! I go through umbrellas really quickly because I walk for long periods of time in all types of weather, including wind, rain, and blizzards. The last rainy (and windy) day resulted in my only compact neutral coloured umbrella being tossed in the trash... it was a few years old anyway... so this Ecoverse umbrella came at the perfect time. This is a manual umbrella. I really love that this umbrella is made from renewable, recycled, and recyclable components. 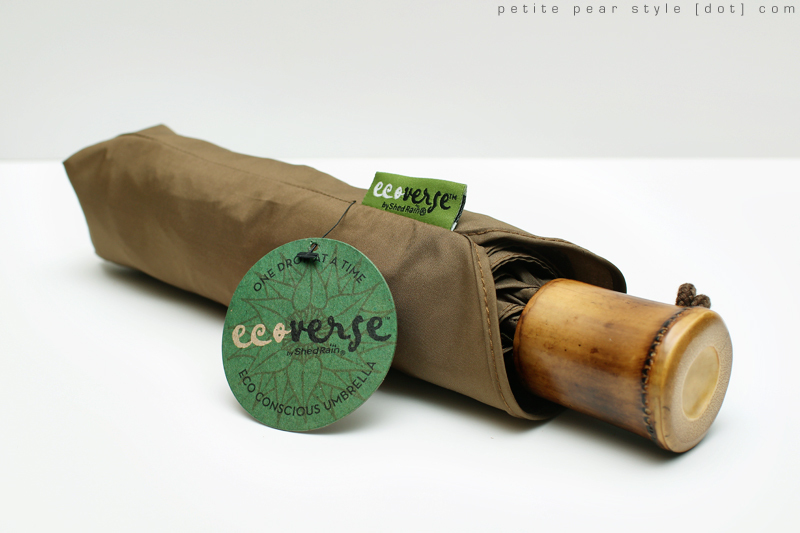 The fabric canopy is made from 100% recycled fabric and the handle is made from bamboo. I also love the colour I received - a lovely and neutral military green. Overall, I thought this was another well thought out SeasonsBox. I believe this box is still available on the SeasonsBox website if you are interested in trying the products yourself. The total value of the products included was $57.50. This is my 4th month of SeasonsBox and I am really loving this subscription service. Even though it's more expensive than other services out there, I feel it is a relatively safe choice as the products are curated very well - with nice variety and great quality. 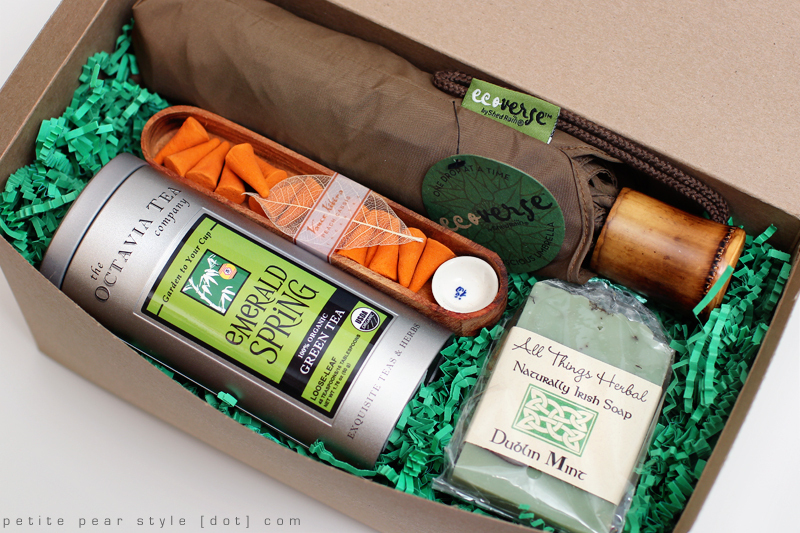 I also like that SeasonsBox endeavours to source products that are natural and responsible. SeasonsBox is a subscription service that promises 3-5 full-size luxury products for your home, body, and spirit. The box ships out of Ontario, Canada and is available to Canadian and U.S. residents. 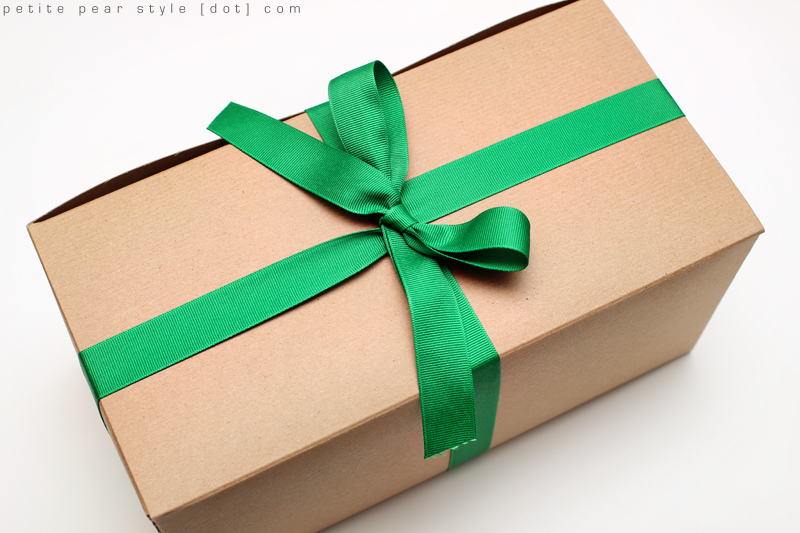 Besides curating boxes themed with a particular season (i.e., winter, spring, summer, fall), SeasonsBox also curates boxes themed with specific holidays (e.g., Valentine's Day, Mother's Day, Halloween). The contents of every box are intended to stimulate your senses with the scents and flavours associated with a season or holiday. SeasonsBox provides high quality, luxury, and full-size products (versus samples) with a focus on natural and responsible products. The products are also sourced from various places around the world and most of them are not available in commercial stores. SeasonsBox provides a preview of the products at the beginning of the month. Please visit the SeasonsBox website for current pricing. If you would like to subscribe to SeasonsBox, I would be grateful if you would use my referral link... of course, I will also send heaps of good karma your way! FTC: The March box was sent to me for review purposes. I also purchased a one year subscription to SeasonsBox with my own money. This seems to be one of the best sub boxes. I wish it was in my budget to subscribe! Thanks for the tip about the tea! I had no idea. it's definitely my favourite - very consistent. if there are certain products you want to try, you can buy them on a standalone basis from the seasonsbox website. or you can just buy a single month's box if all the products in the preview interest you. that would definitely be more affordable than buying a subscription! I really love the idea of Seasons Box. I'm waiting till the April products are revealed before buying my first one. I'm thinking it will be a great Mother's Day gift. I loved the March box!! I needed a new umbrella in rainy Vancouver!